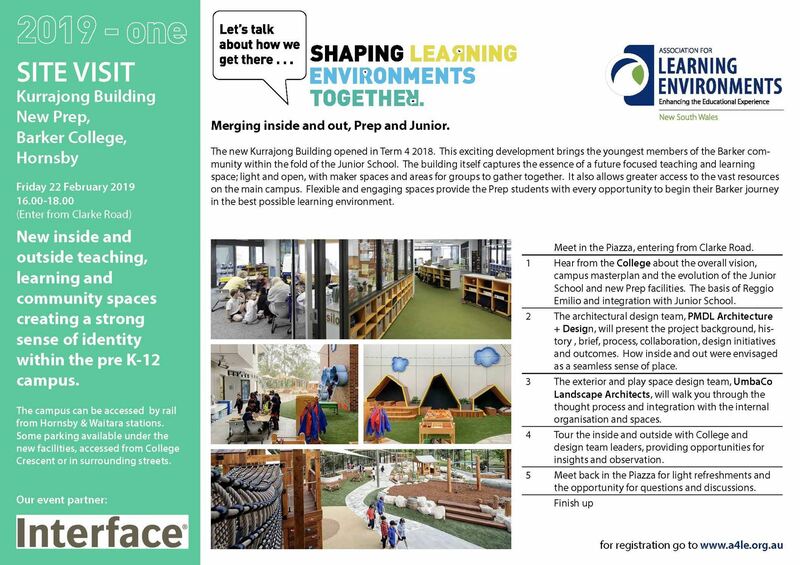 New inside and outside teaching, learning and community spaces creating a strong sense of identity within the pre K-12 campus. Merging inside and out, Prep and Junior. The new Kurrajong Building opened in Term 4 2018. This exciting development brings the youngest members of the Barker community within the fold of the Junior School. The building itself captures the essence of a future focused teaching and learning space; light and open, with maker spaces and areas for groups to gather together. It also allows greater access to the vast resources on the main campus. 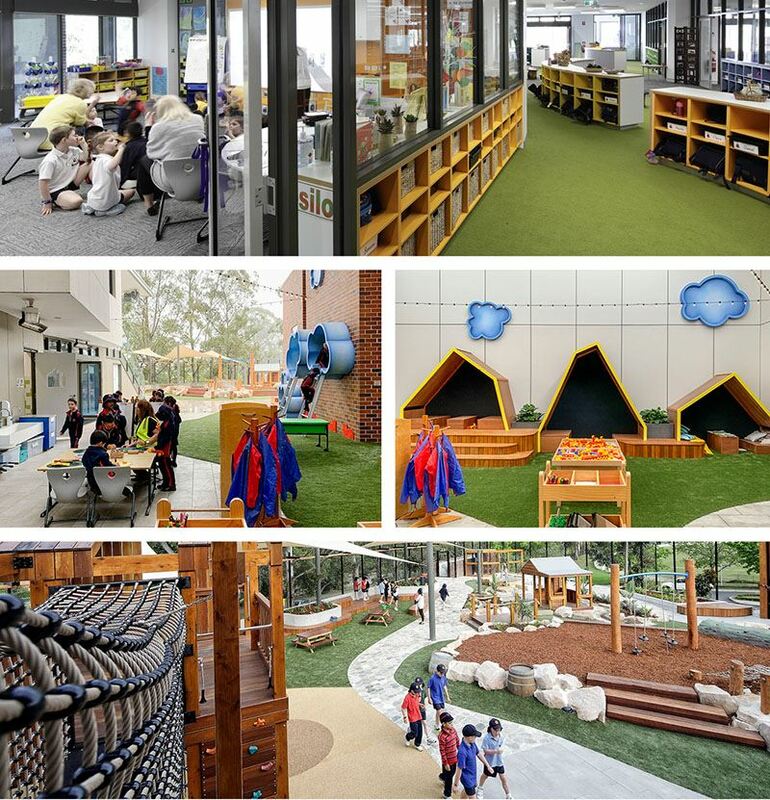 Flexible and engaging spaces provide the Prep students with every opportunity to begin their Barker journey in the best possible learning environment. Meet in the Piazza, entering from Clarke Road. Hear from the College about the overall vision, campus masterplan and the evolution of the Junior School and new Prep facilities. The basis of Reggio Emilio and integration with Junior School. The architectural design team, PMDL Architecture + Design, will present the project background, history , brief, process, collaboration, design initiatives and outcomes. How inside and out were envisaged as a seamless sense of place. The exterior and play space design team, UmbaCo Landscape Architects, will walk you through the thought process and integration with the internal organisation and spaces. Tour the inside and outside with College and design team leaders, providing opportunities for insights and observation. Meet back in the Piazza for light refreshments and the opportunity for questions and discussions. Thanks to our event partner Interface.